GOLD! Always believe in your soul. You’ve got the power to KNOW, you’re inde-structible. Wise words indeed. 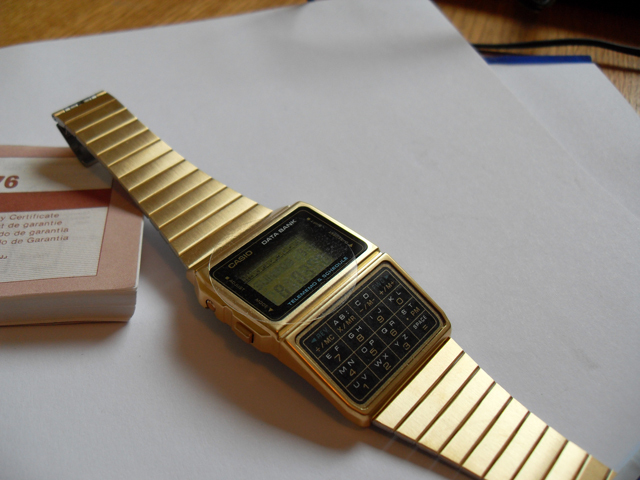 Meet the Casio databank watch in gold with all the bells and whistles. GOLD! Always believe in your soul. You’ve got the power to KNOW, you’re inde-structible. Wise words indeed. 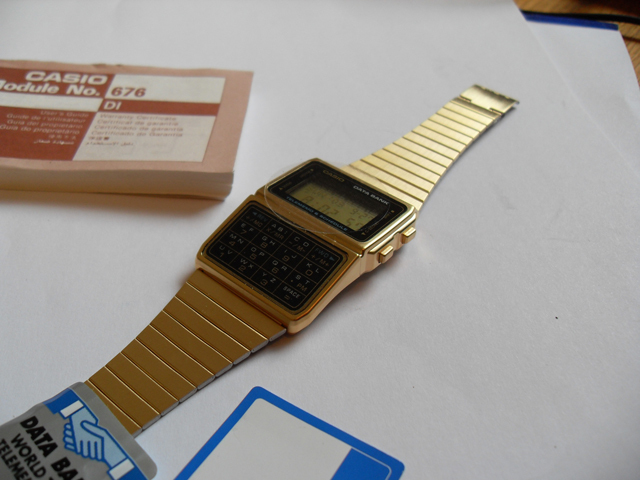 Meet the Casio databank watch in gold with all the bells and whistles. It’s an NOS unused piece and is split shiny new condition – even comes with a wee instruction book in case you get lost. 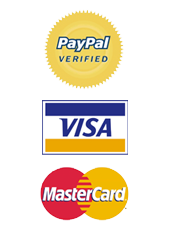 I’d doubt severely if you actually wanted to use this databank to watch to keep data in, but if you do, it’s more than adequate. The primary function of this watch is LOOKING COOL. Which it does with aplomb. 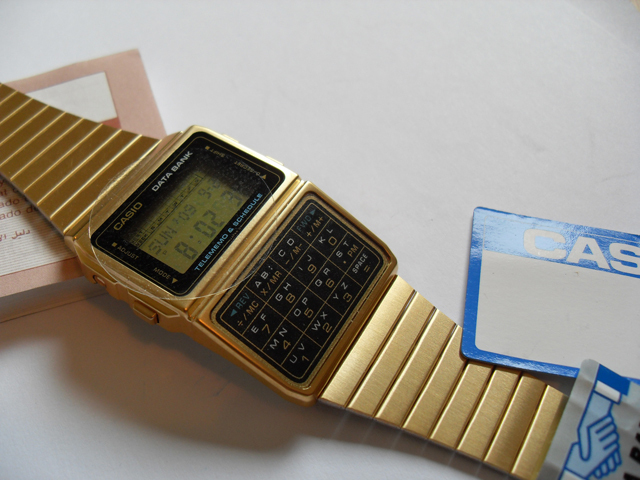 Fantastic gold Casio databank watch and gold watches have suddenly become cool again. Don’t ask me why. Certainly stands out when one has a black t-shirt on.